Do you love comfort food? I know I do but I also know what it does to my waist line. Like most runners, I have a love affair with pasta. Like a good majority of women, I have a hate of pasta – or maybe it is just carbs in general. 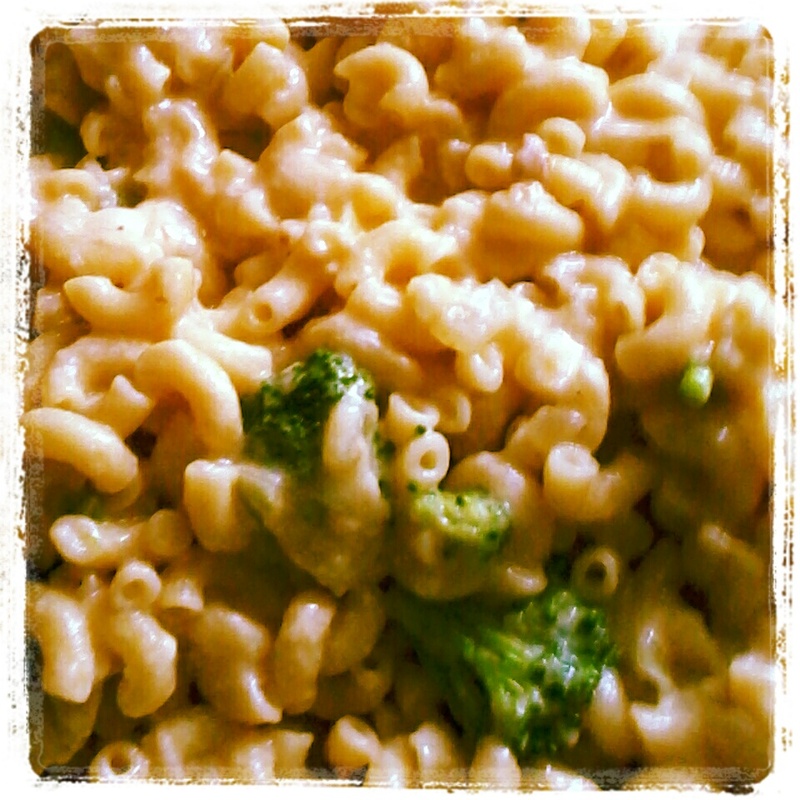 I was really happy when my daughter came up with a “skinny, and slightly more healthy, version of the comfort food Mac and Cheese. Try it some evening for dinner and see if your family likes it as much as mine. Cook pasta and broccoli together in a large pot of salted water, according to package directions for al dente (or slightly under cook 2 minutes)(I tend to put broccoli in at about half the cooking time of the pasta as I don’t want green water or pasta.). Spray a baking dish with cooking spray. Preheat oven to 375°.